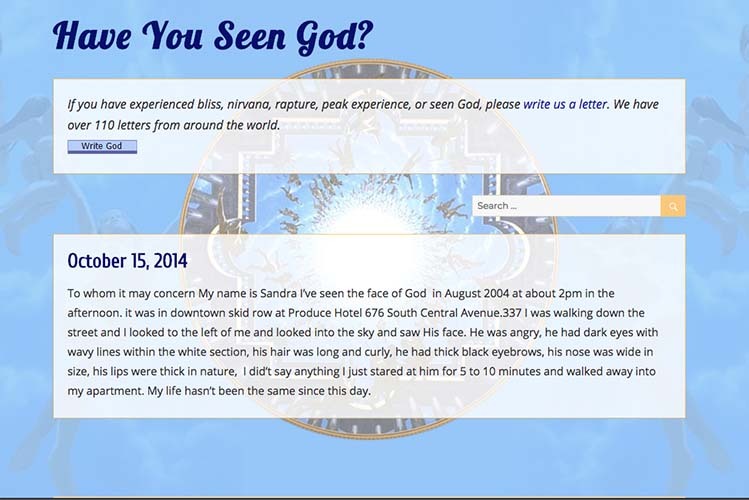 Portfolios » Uncategorized » Have You Seen God? 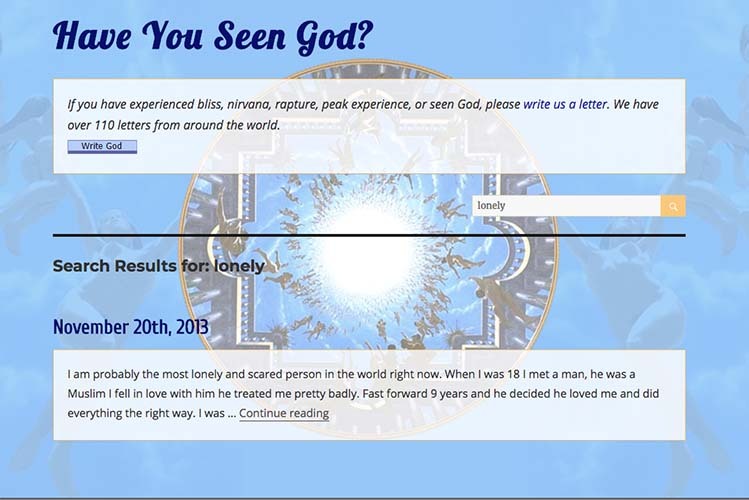 web design for a collection of stories :: Have You Seen God? 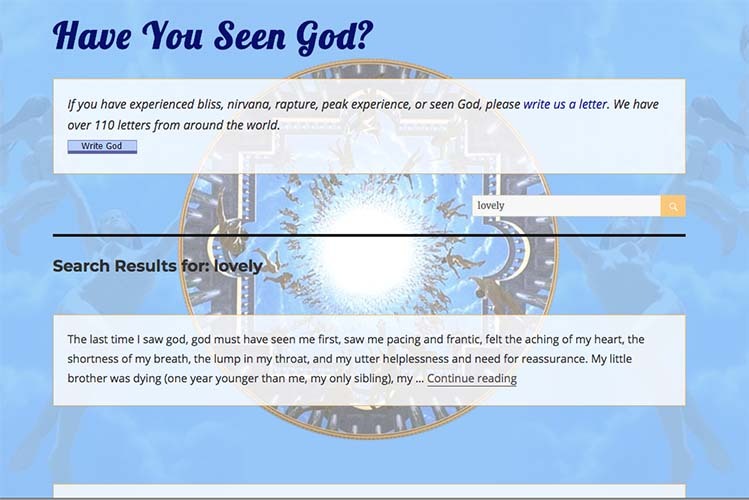 This website was designed to replace an existing site to publish the accounts of people who have had experiences they would describe as seeing God. It was requested that the site design incorporate paintings that had been used in the previous site, give everything a more contemporary look and feel and to make it easier to add the remaining several hundred letters. This was accomplished by building the site with a blog-structure and it is now ready for easy-upload of the remaining letters.